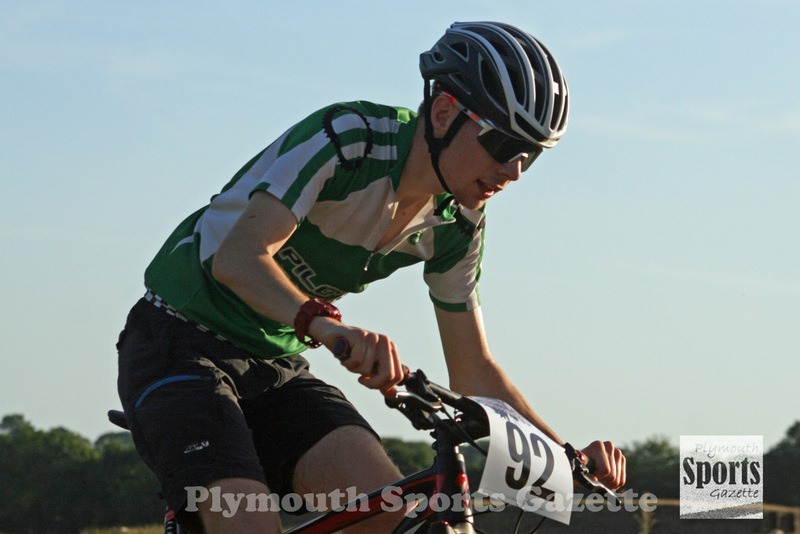 PILGRIM Flyers’ Oliver Allen impressed at the latest South West Cycle Cross event held in cold conditions at Coxleigh Barton, near Barnstaple, on Sunday. Allen and Mid-Devon’s Tristan Davies have been enjoying a great battle this season in the junior category of the series. Davies had claimed victory the week before at Escot, but Allen got his revenge at the weekend by not only winning the junior race but also finishing third overall in the main event behind former professional riders Jacek Nowask and Steve Lampier. Veteran Nowask won in 54.03 minutes, with Lampier, who had triumphed at Escot seven days earlier, second in 54.31 and junior Allen clocking 55.07. Fellow junior Davies was fourth overall in 55.45 minutes. Tavistock’s Phil Collings was fifth overall and second senior, while Rockin Bikes’ Richard Long was fifth senior having had a hectic week competing at the ETU European Cross Duathlon in Ibiza. He had finished third the previous week at Escot before his trip to the Spanish island. Pilgrim Flyers Helen Barron was fifth on Sunday in the senior women’s race, which was won by Catriana Ross, with Alice Staniford second. The Dix family from Tavistock Wheelers enjoyed a good afternoon at Coxleigh Barton. Joe Dix won the under-16 race in 31.14, which was just two seconds ahead of Harry Jukes. Ewan Dix, meanwhile, won the under-14 race in 34.25, with William Salter second in 34.54, while Lara Dix was also third in the under-12 girls’ race. Pilgrim Flyers’ Rosie Andrews continues to dominate the under-16 girls’ event. She won by more than two-and-a-half minutes to maintain her unbeaten record in the series. Ellen Garnsworthy was first under-14 girl. Max Standen took victory in the under-12 event, just ahead of Louis Garnsworthy, while Georgia Mahoney was third overall and first girl. Matthew Holmes and Tavistock’s Orla White were the under-10 winners, while Lauren Fox took overall victory in the under-eights’ race. The next round of the series should have been this coming weekend at Staddiscombe, but the event has had to be cancelled due to local objections. It is the third race in the series that has had to be cancelled. It also means the only event in the series close to Plymouth will be the leg at Mount Edgcumbe on December 16. In previous years, Pillaton, Mount Kelly College and Central Park have hosts cycle cross events.